Setup time is just 5 minutes. Convert your Clover data to your WooCommerce store. These are the things available for you to import and export. Each imported items, whether it’s inventory, orders, or customers has a unique ID assigned to it. These IDs are what we use to keep track on your items. ImportImport all your Clover inventory. Note that variant products are merged and saved into it’s respective group, not imported as single individual products as it’s listed in Clover dashboard. 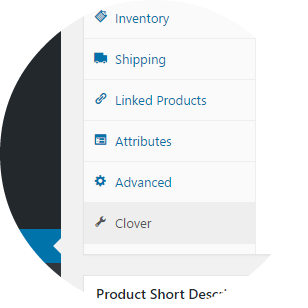 Number that’s attached to this button represent the total items that you have already imported into Woocommerce from Clover.ExportExport all you Woocommerce inventory to Clover. Number attached to this button represent items that you have in Woocommerce that is not yet imported to Clover. ConnectThe Clover plugin will allow you to see a list of all your Clover inventory. You will be able to import only the ones that you need or import them all.When your WooCommerce product has a Clover ID assigned to it, it will automatically identified as a Clover item. Each product will now have a Clover tab in it’s product edit page. Use this to configure your import options or single import manually. In case of variable product, Clover informations will be available in each of the variant’s details. 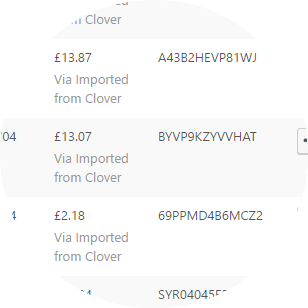 ImportImport all orders saved in your Clover account into Woocommerce. 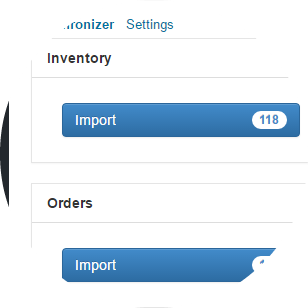 Number attached to this button represent orders that you have already imported into Woocommerce from Clover.ExportExport all orders saved in your Clover account into Woocommerce. Number attached to this button represents orders that you have in Woocommerce that is not yet imported to Clover. SynchronizeImport, export, and synchronize your WooCommerce orders to Clover. Orders created in WooCommerce can be automatically exported to Clover. Just like inventory page, you can see a list of orders you currently have in Clover and import the one you need. Note that the plugin does not include any payment gateway system, yet. Import your Clover customers and create them as a WooCommerce customers. 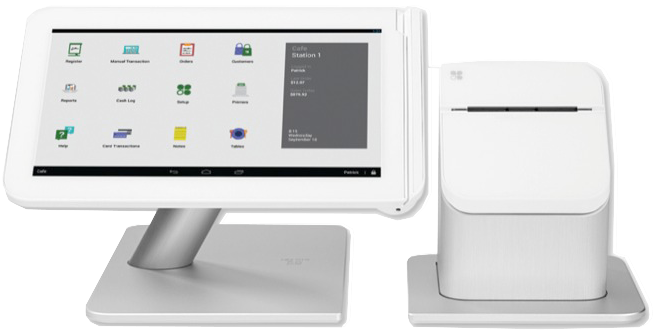 This will enable orders exported to be associated to a Clover customer. Whenever an order is created and a product stock is deducted, the new stock value will also be updated in Clover. Does synchronization happens in real time? Imported Clover items and orders will not auto sync in real time. Should changes happens in the Clover dashboard, it won’t be automatically imported into your woocommerce installation. Should you activate autosync however, changes from your WooCommerce site will be updated to Clover as soon as you hit the update button. What happens when an inventory is deleted in WooCommerce? Nothing. Your Clover data will not be affected. Will my stock get reduced twice if both autosync and clover stock manage is enabled? While stock management feature from Clover will reduce your inventory stock based on posted orders, and autosync from WooCommerce Clover will export orders when they are set as completed, it will still display the same quantity as it is in WooCommerce. When orders are exported to Clover, each of your WooCommerce managed product stock in that order will also get synchronized. What will happen if orders are manually created in Clover before the plugin is installed? We don’t have a feature to associate orders in Clover to Woo. So, if orders already exist both in WooCommerce and Clover, it is advised to not run the export order feature. Our WooClover plugin is currently being reviewed by the Clover App Store and is not available for purchase at this time. If you would like to receive an alert once it has been approved, please subscribe to the form below.